For many students, vernacular architecture represents a novel approach to the study of the built environment. Even after several decades of intellectual embrace, many professors of art and architectural history continue to find it difficult to integrate vernacular architecture into a course syllabus. Instructors face a daunting task: how can a more expansive, nuanced picture of the history of the American built environment be taught when standard textbooks continue to privilege the same monuments decade after decade without acknowledging the richness of the American architectural legacy? 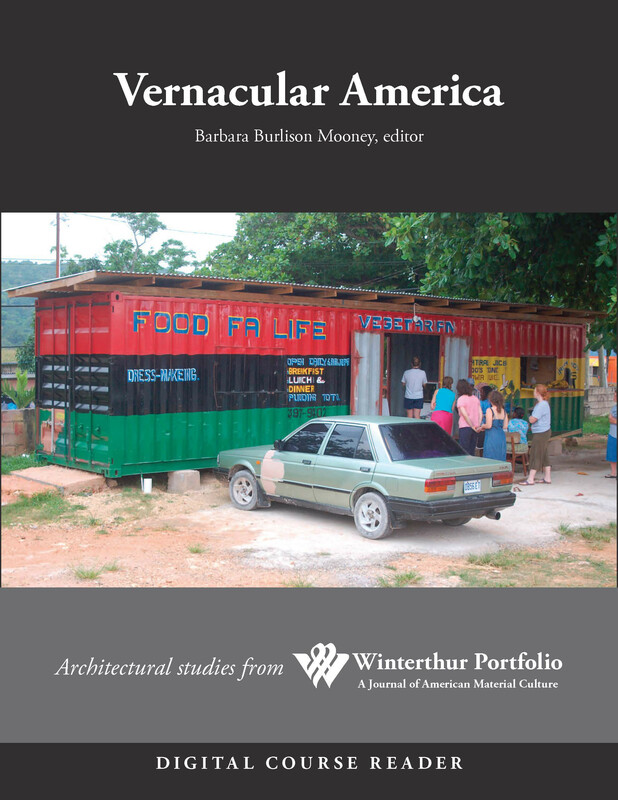 Vernacular America, selected from three decades of Winterthur Portfolio articles on the subject, addresses that problem by suggesting practical strategies for balancing, and perhaps even undermining, the canon of American architecture as it is taught in many college classrooms. Many instructors of New World architectural history seek to bring broad social, ethnic, political, and technical perspectives to the study of the built environment. While they await a survey book that fully integrates academic and vernacular narratives, the articles in this course reader are intended to encourage instructors and students to incorporate a diverse and inclusive approach into the curriculum, one that continues to understand the past, but also one that pays attention to the future. The aim of this publication is to offer both instructors and students the opportunity to create and nurture a more comprehensive picture of the history of the built environment of the United States. Barbara Burlison Mooney is associate professor of art history at the University of Iowa. Professor Mooney’s area of specialization encompasses both American architecture and African American art.